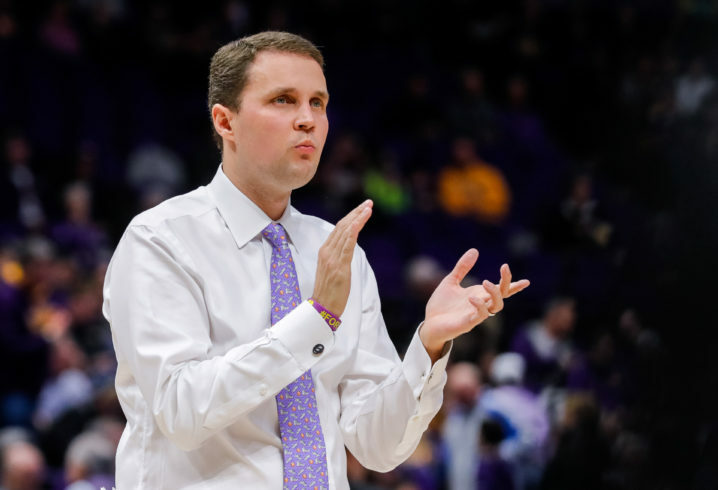 LSU was without coach Will Wade for the SEC Tournament and the NCAA Tournament after he was suspended due to an FBI wiretap that allegedly caught him discussing payment for a player. 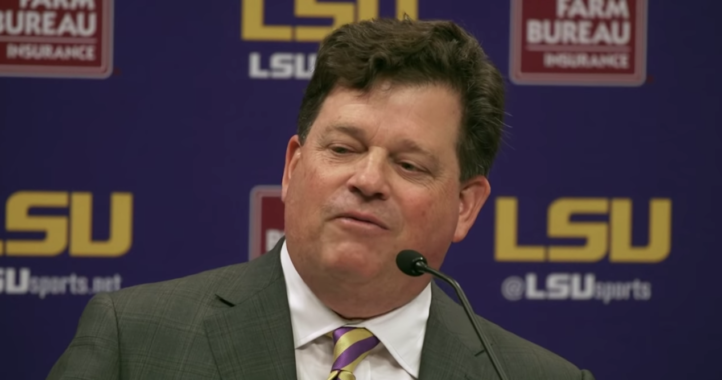 His future was very much in doubt, but now, the LSU administration has reached a decision. What? Wait? Huh? Where are ethics in Louisiana?…. Nevermind I know. Exactly. It will all come out later this month but legally they can’t do anything but Wade met with them. Please explain to me what pearl did? Any facts other than lying about a bbq? Pearl definitely did break rules, hence the show-cause. He broke NCAA rules and the NCAA punished him. Assuming nothing ever connects Pearl to his criminal assistant, he isn’t in legal trouble and is in the clear with the NCAA (unless he has another offence). They moved on, but individuals can still decide how they feel about it. He lied to the NCAA about a BBQ.. that was it and the reason he was given a show cause. People and other fans act like he killed someone. Don’t forget Cam Newton’s price to play at Auburn. Mudragon, that is an incredibly accurate read of the situation. Thanks Boxster. Just my guess based upon general employment/contract law and what little I know about the situation. I do not see this as LSU deciding to reinstate based on them being convinced that Wade did nothing wrong. If you are really trying to compare the two then you did nothing but prove everyone’s point on this thread. The NCAA was there at the meeting. I’ll leave it at that for now. Maybe. We don’t know what will come out in the trial. It’s simply wait and see. Agreed. LSU made the correct move from a legal perspective. The evidence that comes out (or not) at trial and from any investigation will dictate the school’s next steps. LSUABC, is that really you? Aren’t you gong to tell us what REALLY is going on? I’m surprised you don’t know where the FBI stands on this. Anyway, how’s the searches going? You must be a liberal…guilty until proven innocent. Oh yeah you got me man. Big time liberal here newbie.. lol Never said he was guilty.. said everything will come out later this month. You couldn’t wait to try to make this a Democrat/Republican thing could you? Spineless, expected nothing less from Alleva and co…. You two guys have hated LSU forever. Your very biased opinions don’t mean a whole lot and it’s not like you have any info that LSU, the NCAA, the FBI, or anybody else doesn’t have. I’ll wait for more to come out. If he’s guilty, he’s gone. If he’s not, you two will crying yourselves to sleep for a while. Do they lie as much as you? Has sither if them said Jimbi Fisher turned down the LSU job only because he didn’t get a ten year contract? I betneither of them got a discussion shut down because of racial comments. But, hey, you’re a LEGEND on SDS because of statements you can’t back up. Sorry for ghe misspelling. I was laughing so hard at you trying to call out anybody on anything! Nobodys crying here but LSU fans…. Sorry if an FBI wiretap of him saying he offered money to a kid is enough evidence for me. Alleva is the by far and away the biggest pos AD in college athletics. LSU will continue to be a joke as long as hes around. That’s all nonsense. I haven’t seen a single LSU cry and there is no mention of money in the recording. Read your posts on the topic. The whining and crying is comical. The FBI has charged Wade with nothing and even filed a motion that he not testify. The NCAA was there for the Wade interview. Something may indeed come of this, but you thinking you are more credible than the FBI, NCAA, and the school is just comical. Keep crying. LSUABC, see you comment on someone ‘admit’ something almost brought me to tears. YOU of all people to urge someone to admit to something is like you hero, No. 45 saying he never lies to the American people. But, as I promised you, I will be on you like stink on sh-t until you admit you lied about me. Oh, and tell everyone why Jimbo Fisher didn’t accept the offer from LSU. You told it so well. Watching you post lies, and then say you didn’t, I believe you have presidential qualities. I don’t think any unbiased observer believes nothing dirty happened. I believe there is hesitation to say the NCAA will actually do anything. Look at UNC…what a joke. 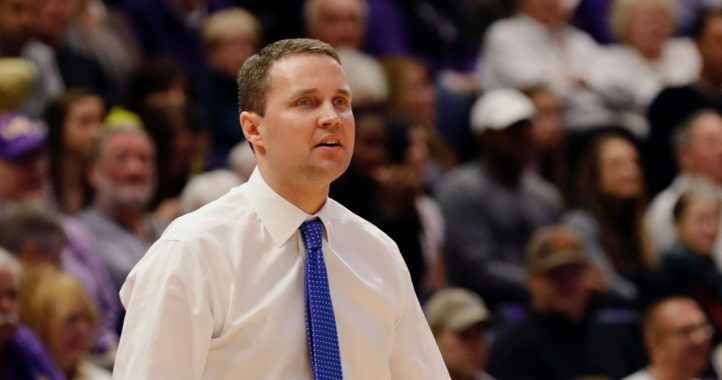 If LSU defends Wade and no one truly cooperates, the NCAA will likely climb back into their embarrassing hole. Serve them up something easy like Mizzou and watch them flex their fake muscle. After watching Mizzou get raked over the coals for something that, frankly, was absolutely out of their control–if the hammer does not get dropped on this team eventually when the NCAA gets officially involved, I am done with this sport. I agree that Mizzou got shafted more than big time. Is there a plan to sue the NCAA over your punishment? Talk about a nut-less athletic dept. Nah, they are just a lot smarter than you. They aren’t going to risk a major lawsuit by doing something stupid. They aren’t nut less, they are surely letting the lawyers run this show and they have to reinstate the guy for now because its his word against someone else’s word. When it all comes out, the guy may be in the clear or he may be back to pick up basketball on a street corner. All we can do is wait and see. Nailed it LSUSMC and UGARMYRet. This is a prudent decision by LSU (before the matter has been fully vetted and investigated) and is a step in the process that must be allowed to play out.